Why Rebrand The Chopping Block? Why are you remodeling your classrooms? They are beautiful already! What reason is there to spend money to update your logo and have to deal with the huge impact of that? You have one of the coolest business models out there. Why would you start to change it? But no one is asking why we are building a new website. I guess that says something about our current website! You may have seen our new logo and the first completed classroom remodel at the Mart. We have about two more years of construction to go with a planned completion date of April 2017, our 20th year anniversary. The first phase of our new website is launching shortly (hint: tonight! ), but I believe that will be a never-ending project as our website will be dynamic. 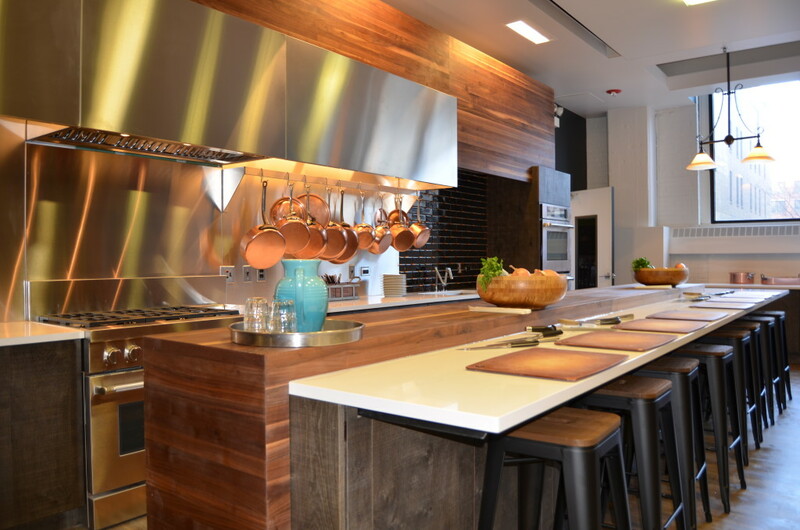 You will see new appliances installed in Lincoln Square at the end of May. In January, our new retail concept will be complete at the Mart and at least one more Mart classroom remodel will be in the works. But back to the question why? Well, it actually started in the most round-about way. We needed new countertops at the Mart, as they were beginning to crack. If you are going to spend the money to replace the countertops, you had better look at the appliances they house, and when it became clear they also needed to be replaced, the project turned into an entire remodel of both locations. It was clear our website was desperately out of date, but what our current site really doesn't do is give you any sense of what it is like to come to The Chopping Block. 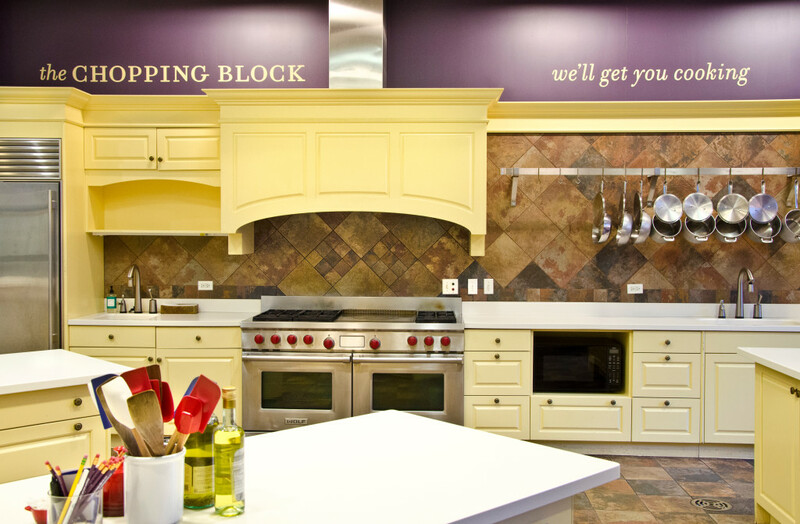 When I opened The Chopping Block 18 years ago, I had the opportunity to touch every aspect of the customer experience. When I ultimately decided that I needed to remodel, there was an opportunity to do that again. I cannot personally interact with every customer that comes in the store today, but I do have the opportunity to build the business in a way that supports an interactive experience. What I really needed was to be a Creative Director, to express what is so personal to me about this business and start to articulate it to my staff and customers. 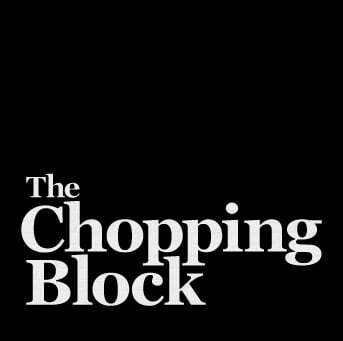 The rebrand and remodel is the opportunity to articulate The Chopping Block experience at every level, from our logo to our website to our physical space, right down to the plates you eat on and the music we play. I cannot divulge every aspect of what I am working on and all of the changes we are making at The Chopping Block. However, I promise you, it will be worth making many trips to our stores and kitchens to watch the unfolding! 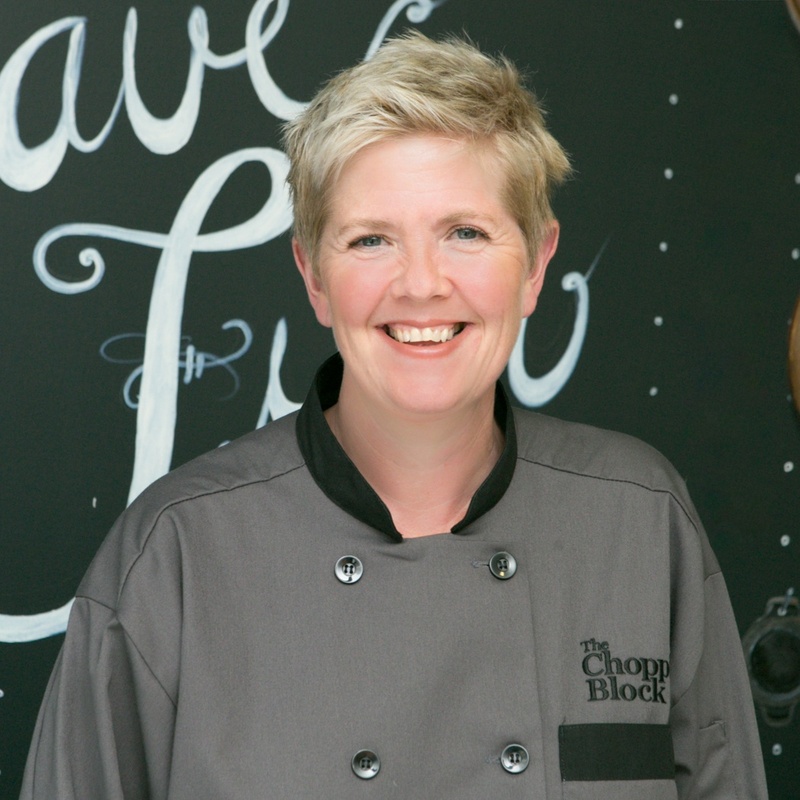 Stay up to date with all of the latest happenings by subscribing to The Chopping Block's newsletter.